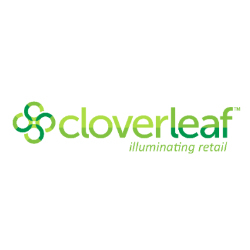 Cloverleaf is a retail technology company for the modern brick-and-mortar marketer and merchandiser. Drawing on our background in entertainment and hospitality, we enable retailers and consumer products companies to deliver the engaging digital experience that today’s shopper has come to expect. Major stores and brands use us to gain real-time insight and visibility into customer preferences to make better decisions and increase sales. shelfPoint is the industry’s first dynamic shelf solution with built-in emotional AI capabilities. With shelfPoint, retailers and brands can replace stagnant cardboard cutouts and layered sticker price tags with an innovative and intelligent solution that provides the same level of shopping behavior analytics as many leading e-commerce platforms. In addition, Cloverleaf has responded to the "too expensive" objection to traditional digital shelf solutions with a cost-effective LCD-driven solution with lease and buy options and subscription services to support various levels of data analytics and systems support.